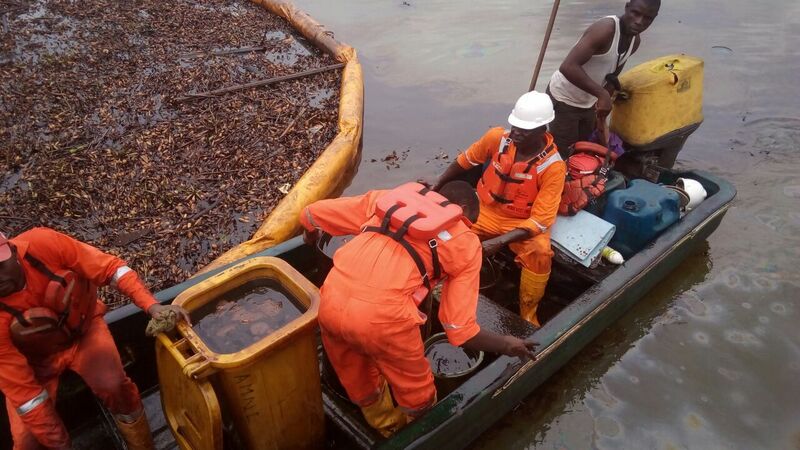 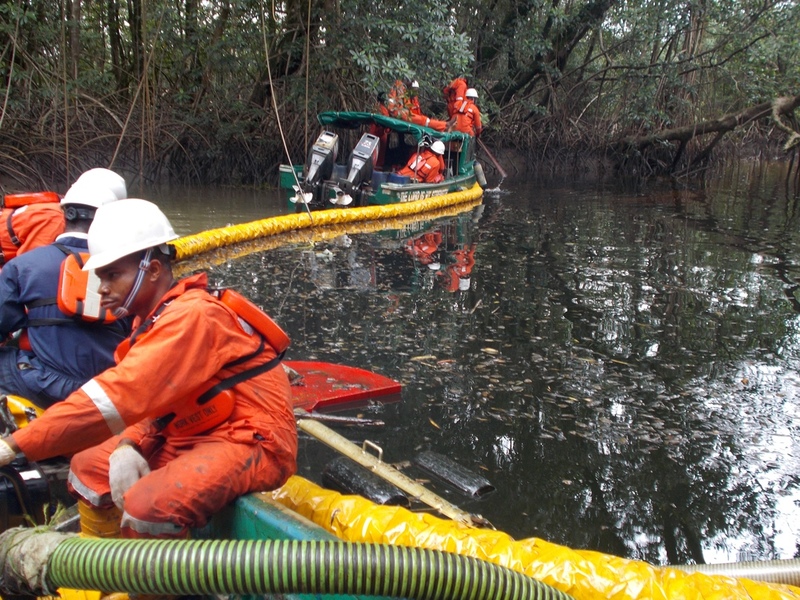 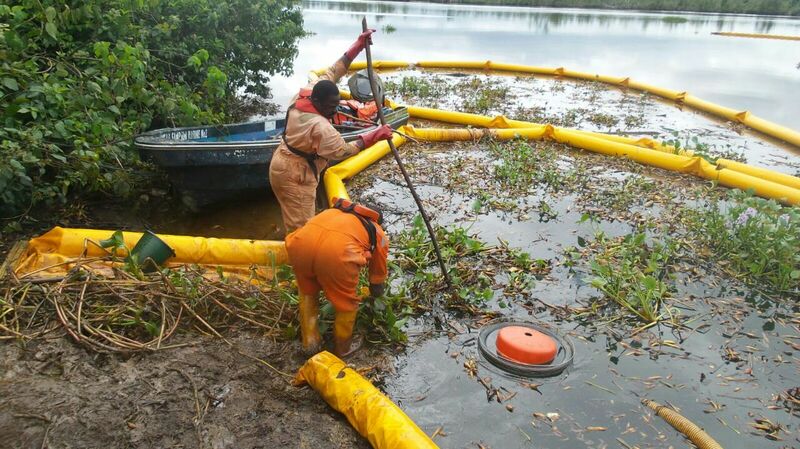 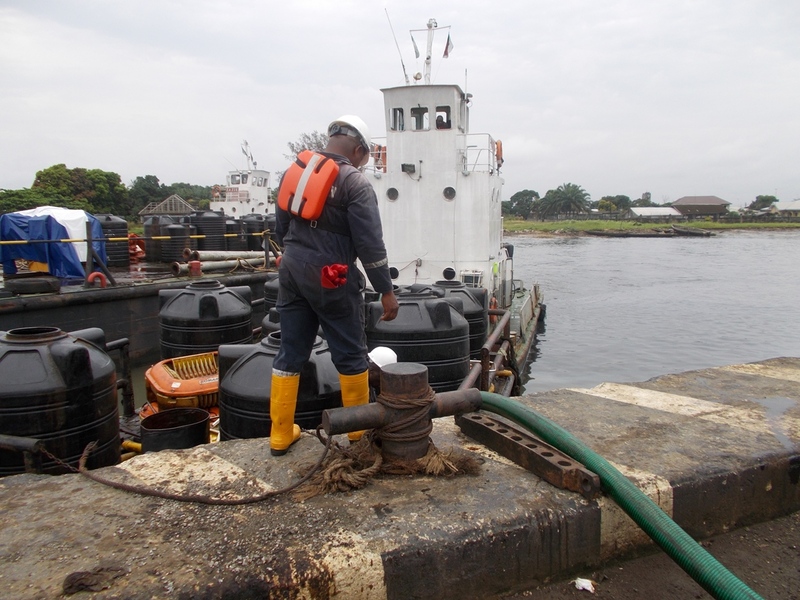 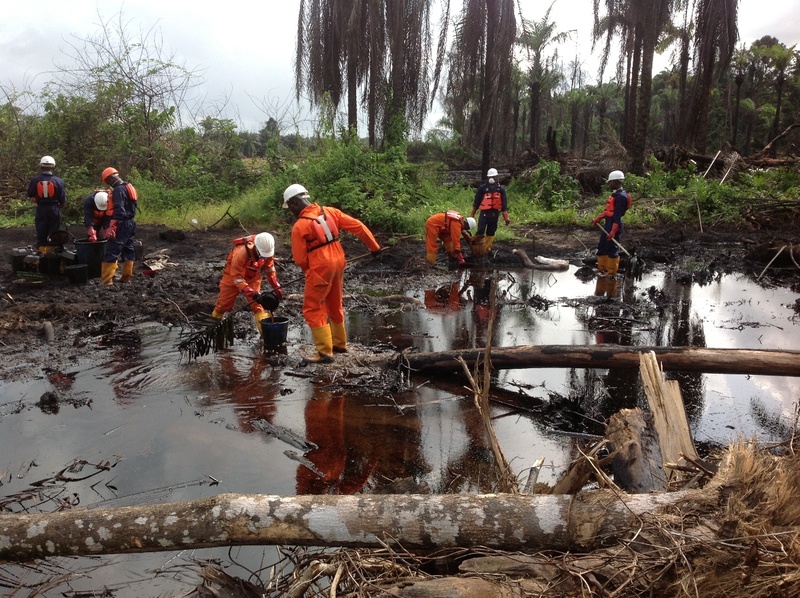 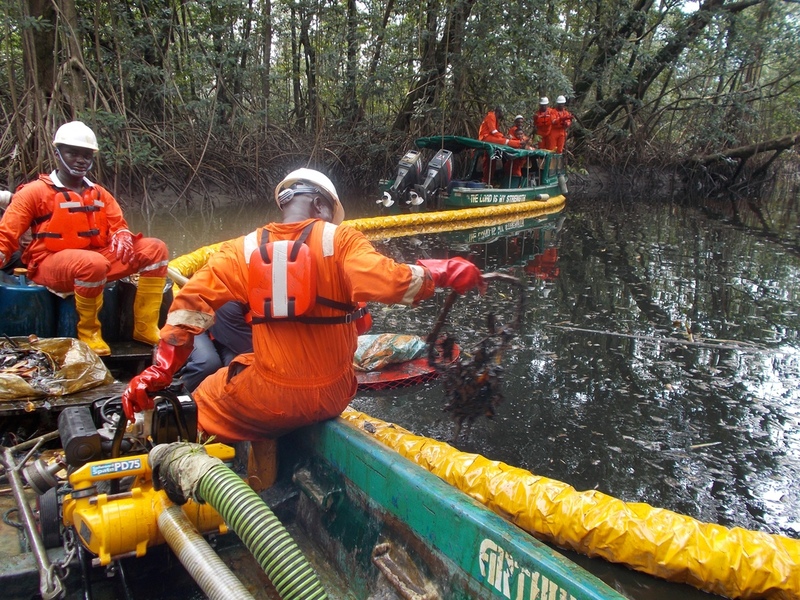 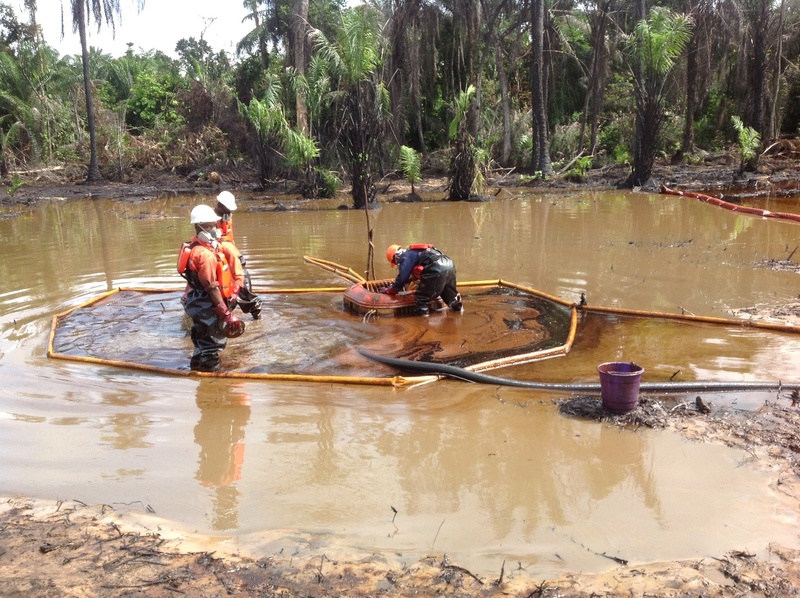 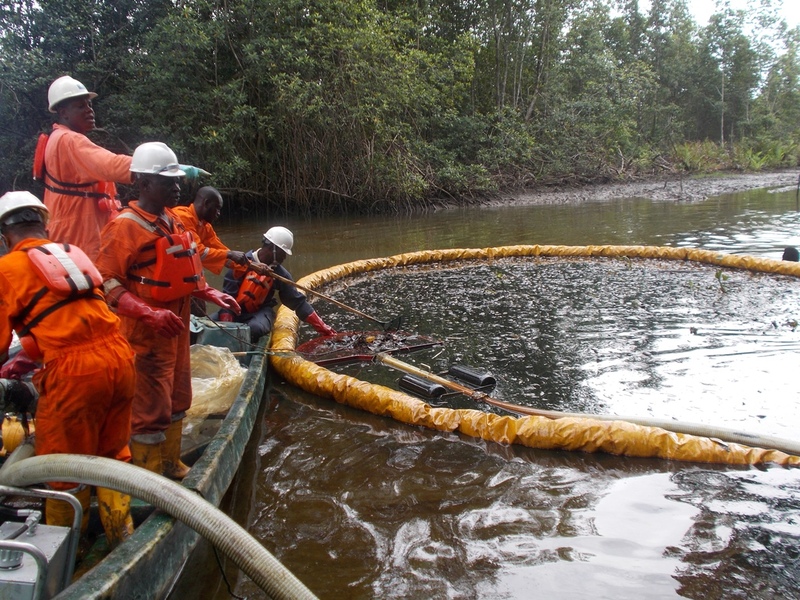 Giolee has rendered oil spill response and clean-up services to reputable clients in the oil and gas industry. 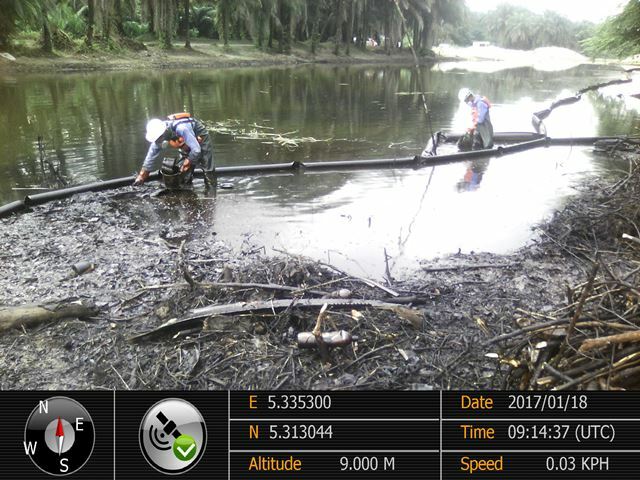 Some of the projects sites includes offshore, swamp and land locations with hydrocarbon contamination at varying depths. 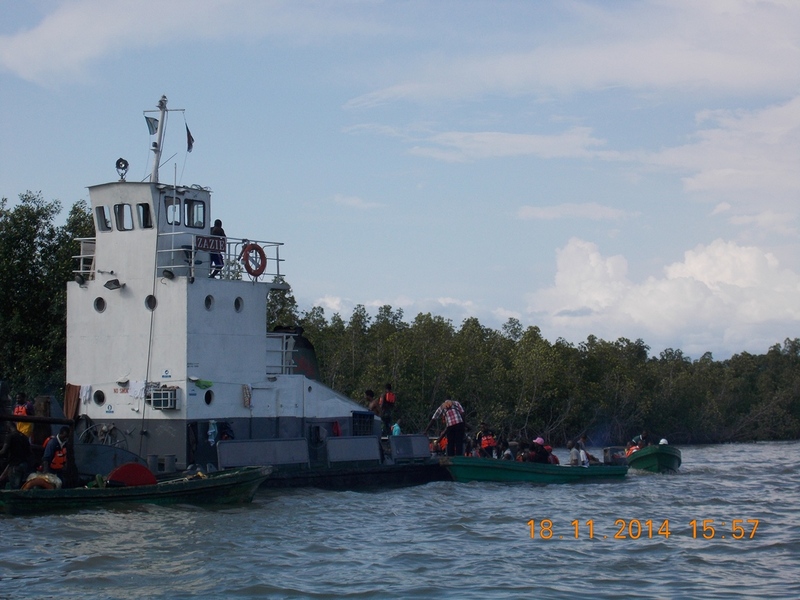 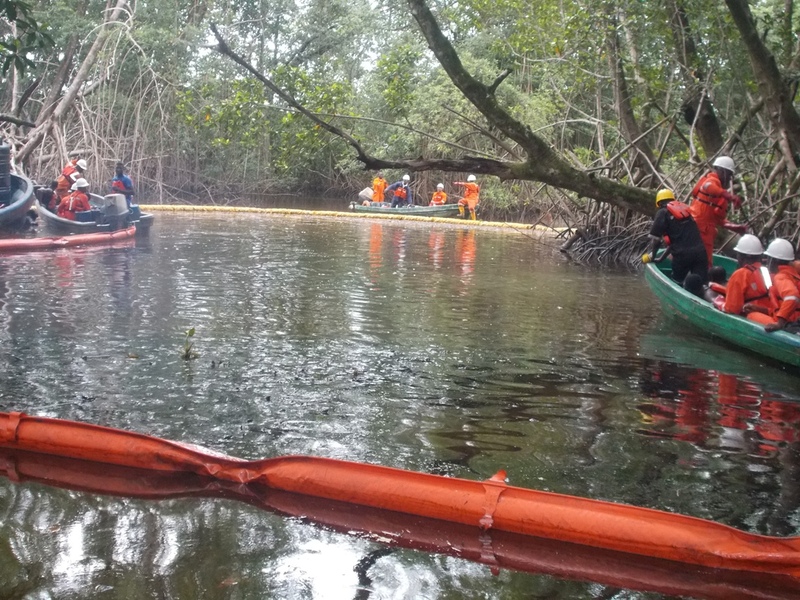 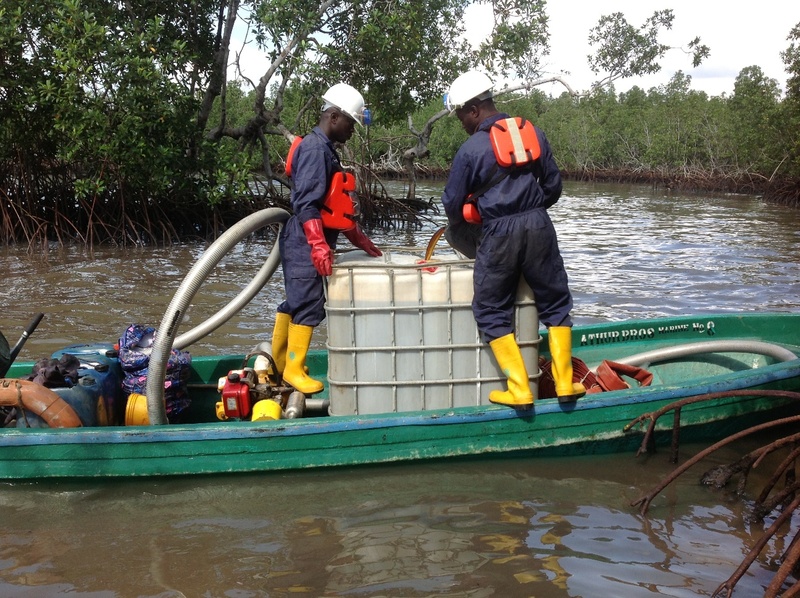 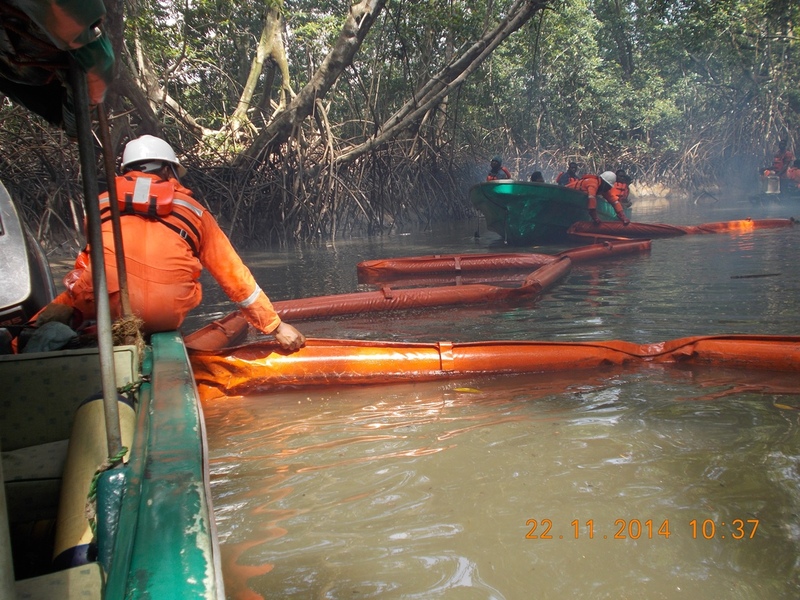 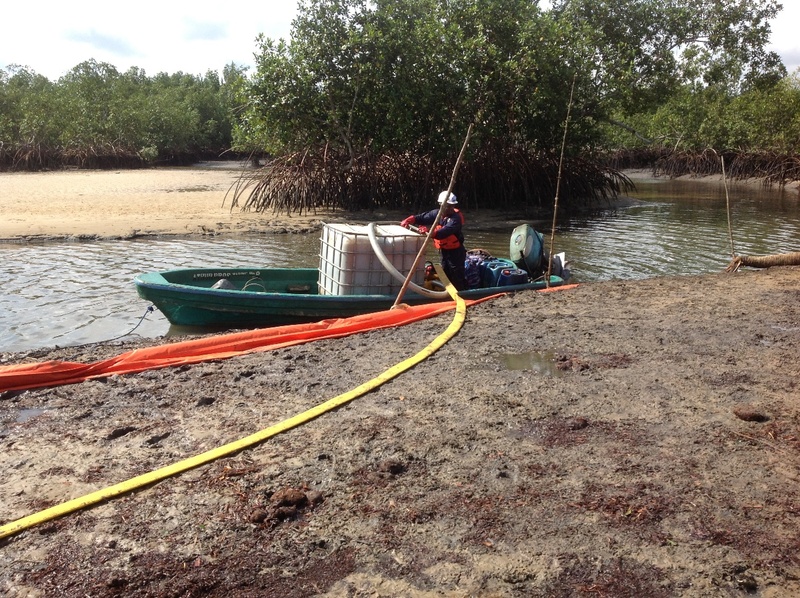 Our projects also involve shoreline clean-up and systematic mangrove vegetation cleaning. 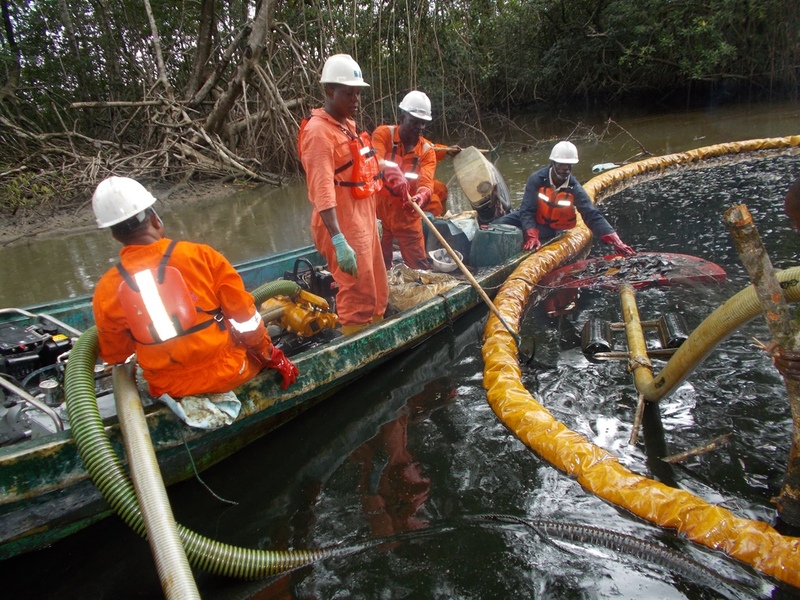 Oil spills can cause a wide range of impacts which most times has direct consequences to the marine environment. 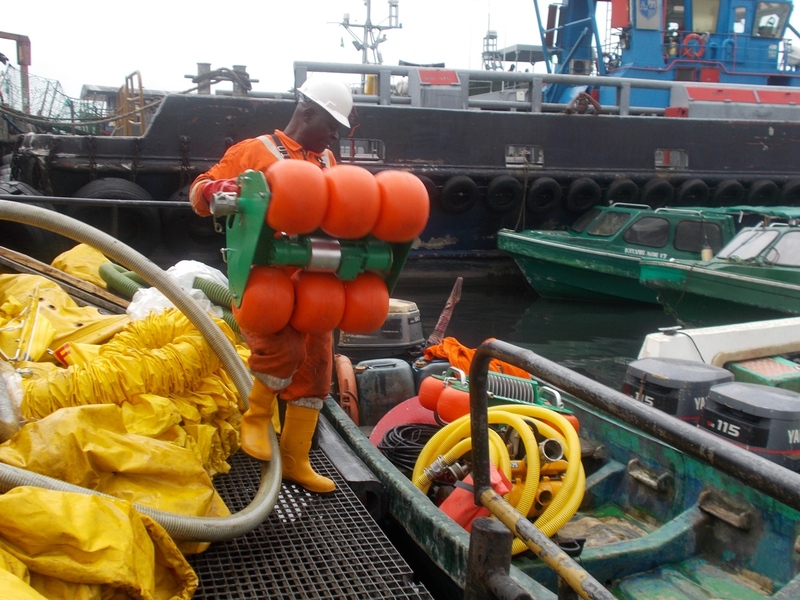 In a major incident, the short-term environmental impact may be severe, causing serious distress to the ecosystem and the people living near the contaminated coastline, affecting livelihoods and impairing their quality of life. 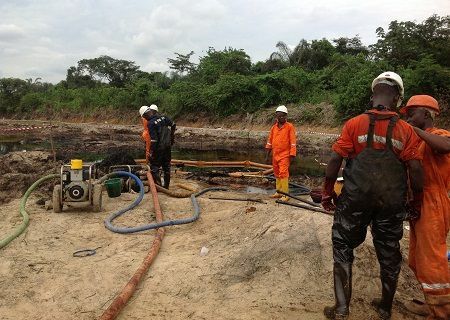 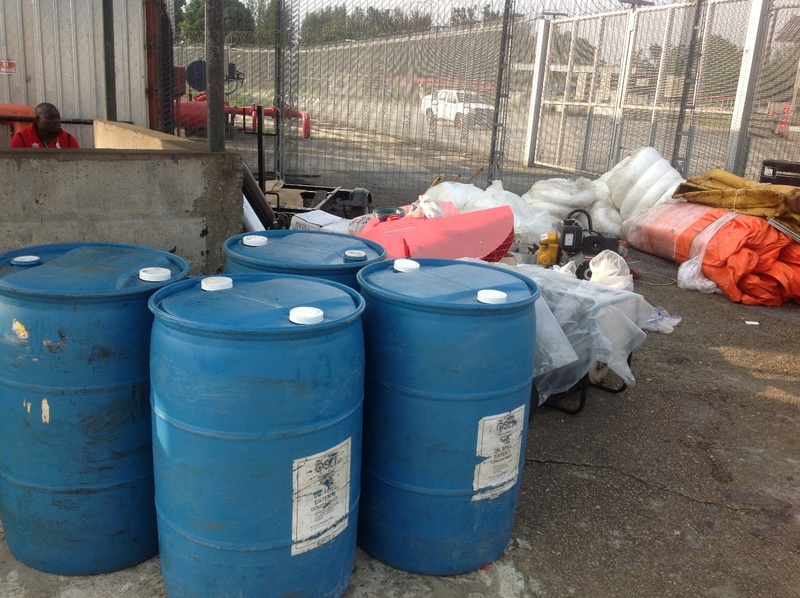 The selection of the most appropriate clean-up techniques requires a rapid evaluation of the degree and type of contamination, together with the length, nature and accessibility of the affected area. 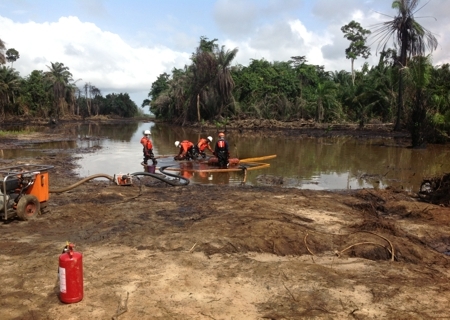 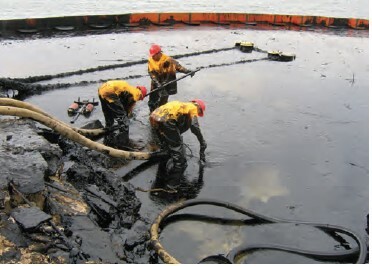 Stage 1 – Containment(Emergency phase): Collection of oil floating close to the environment and pooled, bulk oil ashore. 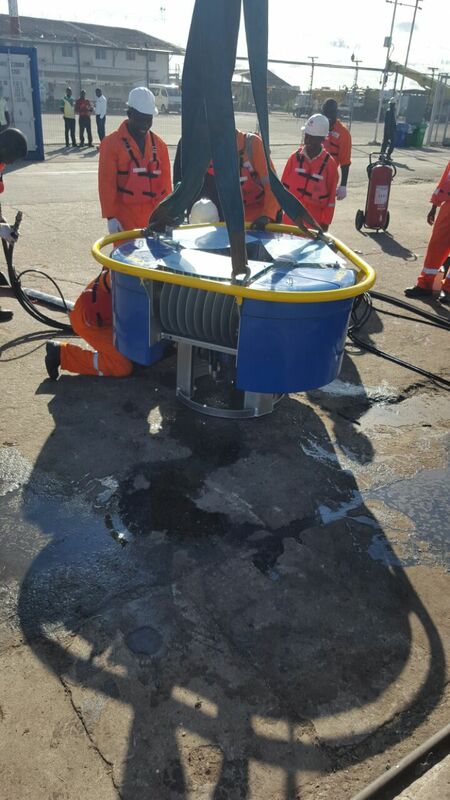 Stage 2 – Recovery phase: Removal of stranded oil and oiled material. 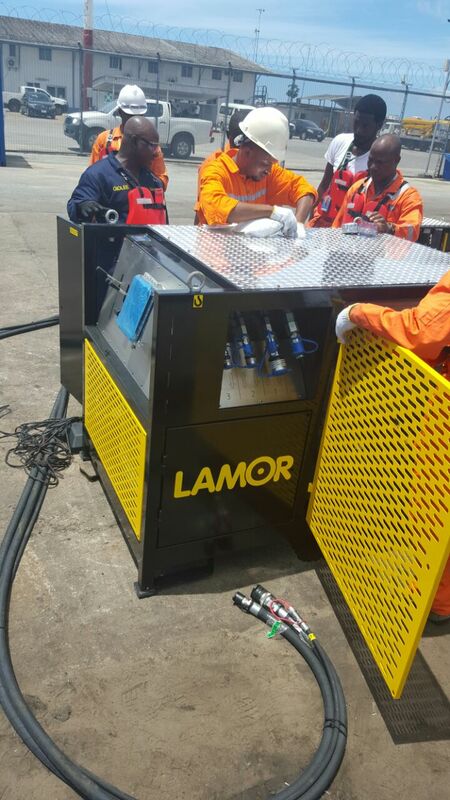 Stage 3 – Polishing phase: Final clean-up of light contamination and removal of oil stains, if required. 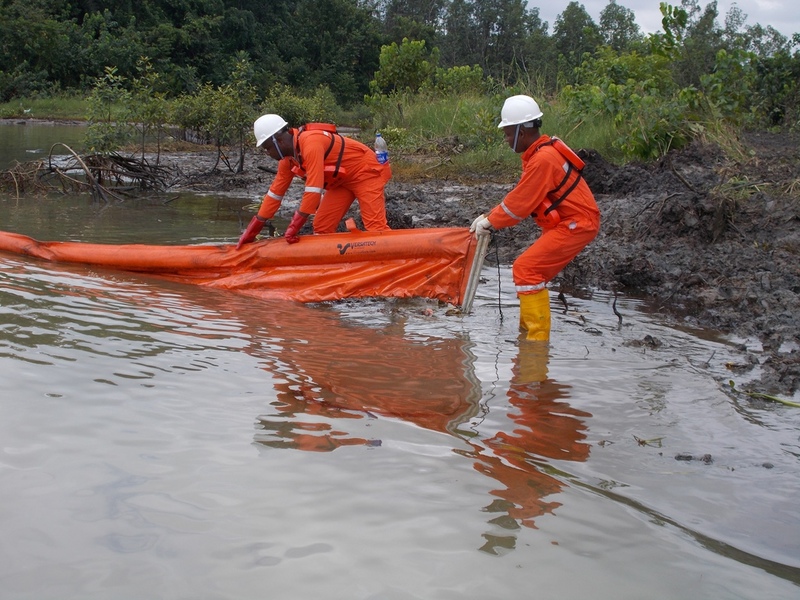 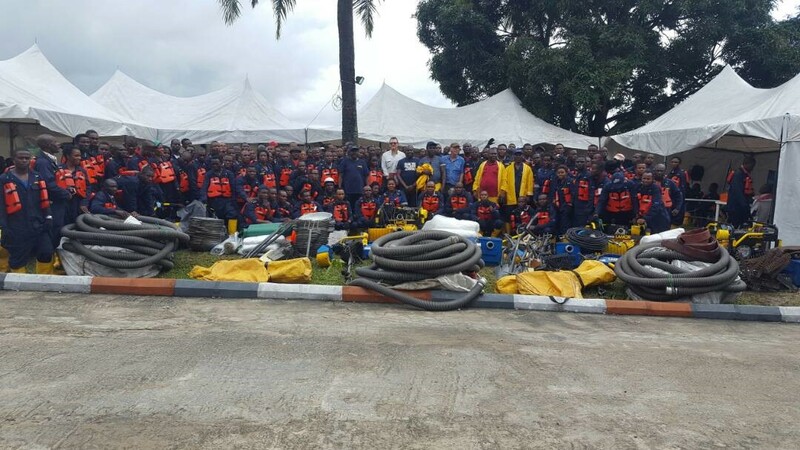 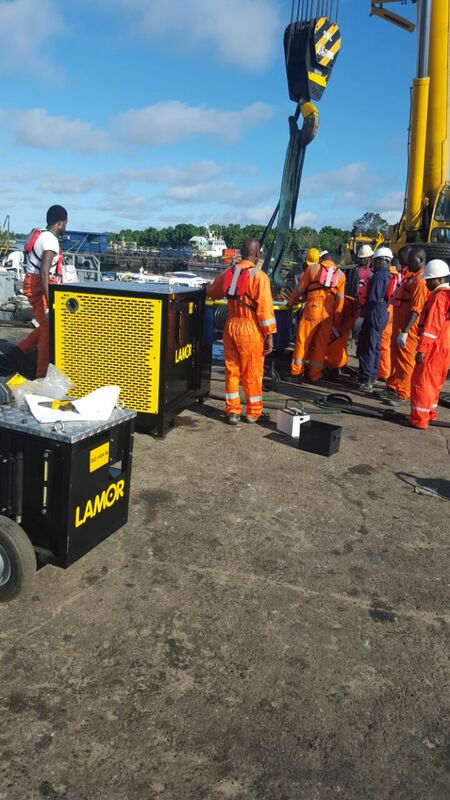 Giolee Global Resources has capacity to mobilize equipment, personnel and resources at short notice to any spill location / environment. 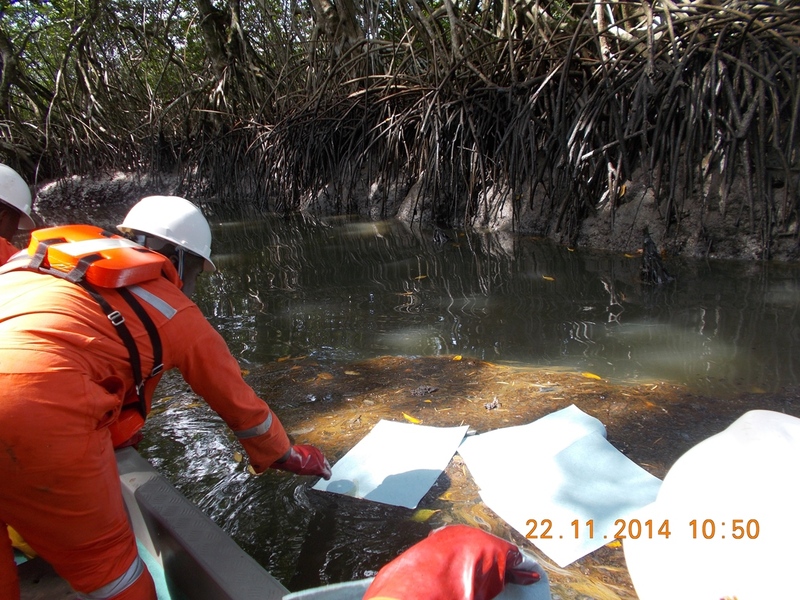 Oil floating on the sea surface get spread over wide areas by waves, wind and currents. 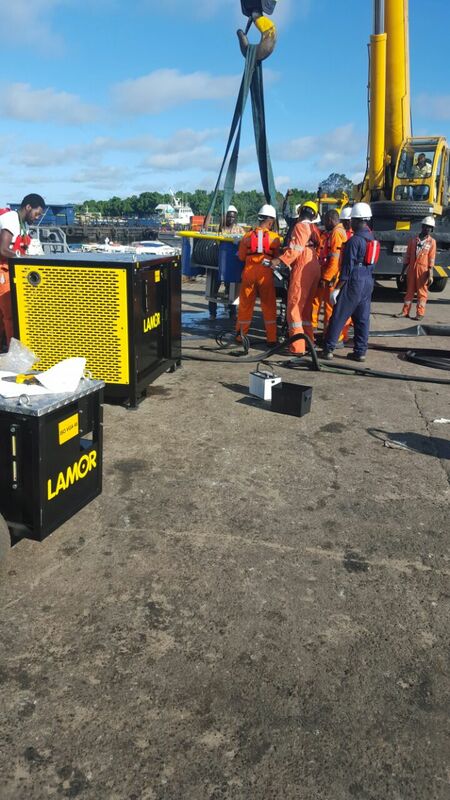 Some low viscosity oil may disperse naturally within the top few meters of water. 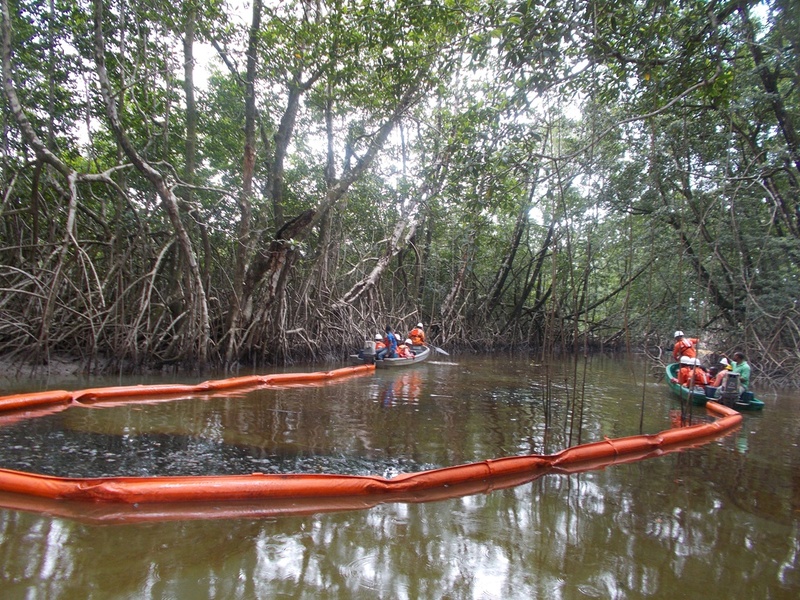 Shorelines are exposed to the effects of oil more than other environments. 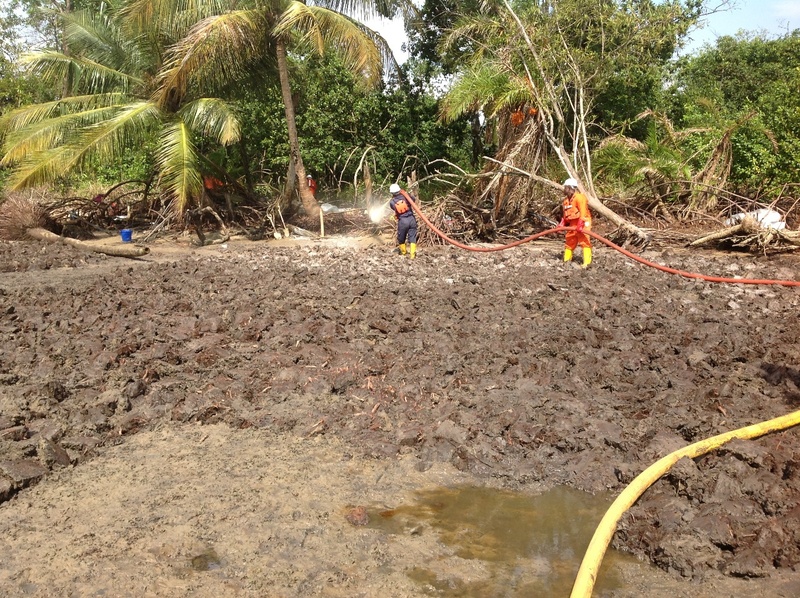 However, the shorelines have high tolerance to tidal cycle which in turn makes it withstand & recover from spill effects. 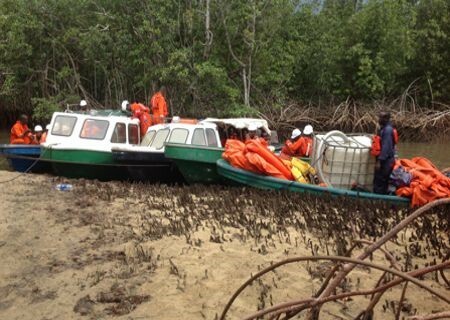 Mangrove are salt-tolerant trees and shrubs growing at the margins of sheltered tropical and sub-tropical waters. 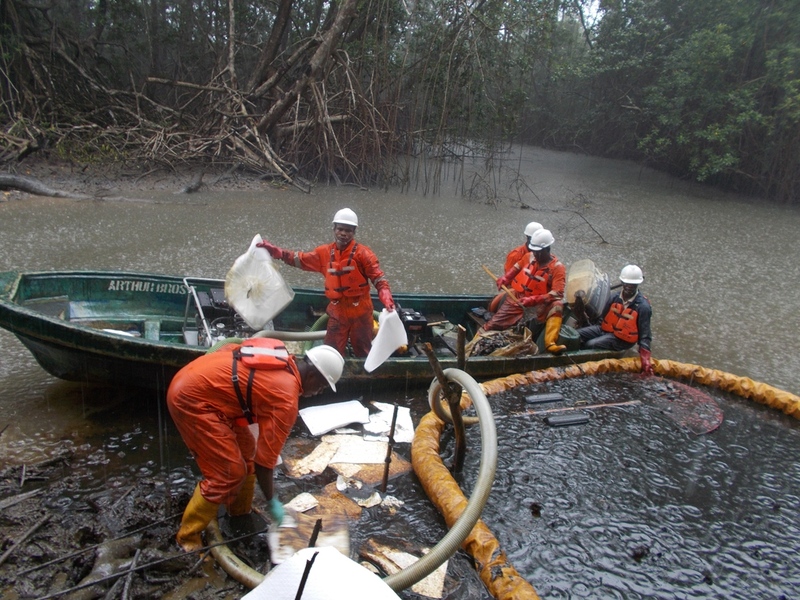 This location is highly vulnerable to oil spills. 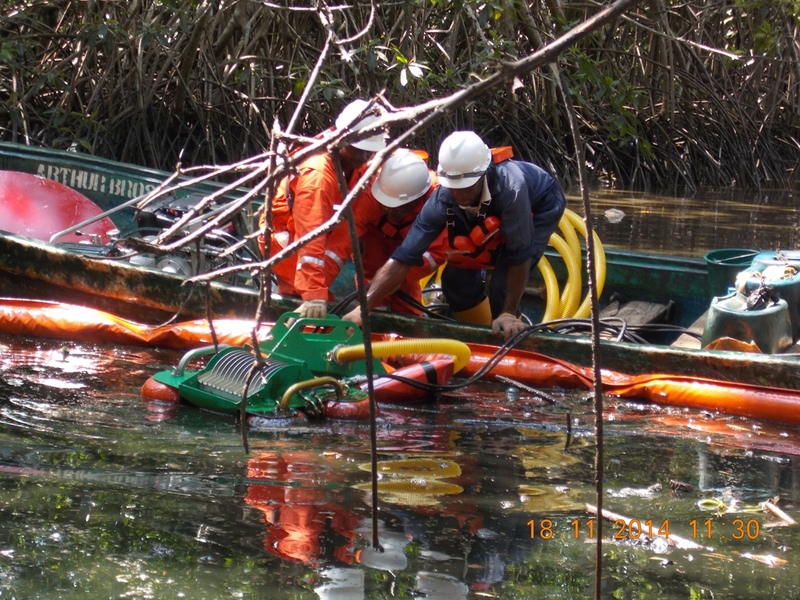 Mangroves are also considered to be extremely sensitive to contamination by oil, dependent to a large extent on the substrate in which mangrove are growing. 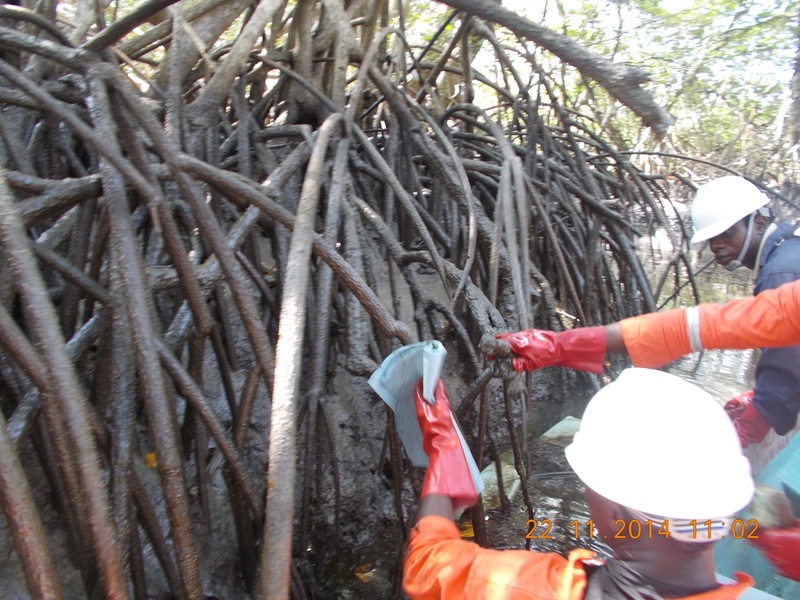 Mangroves grow in dense muddy anaerobic sediments and rely on oxygen supplied through small pores on aerial roots. 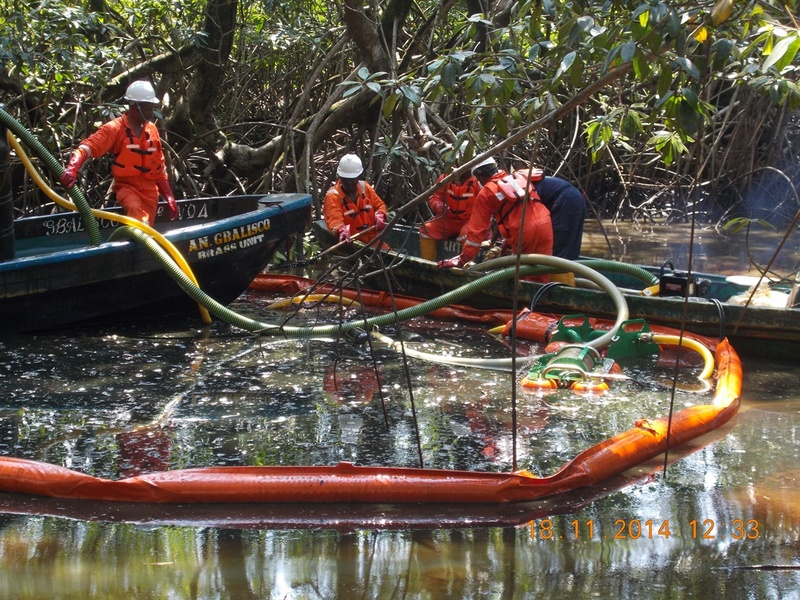 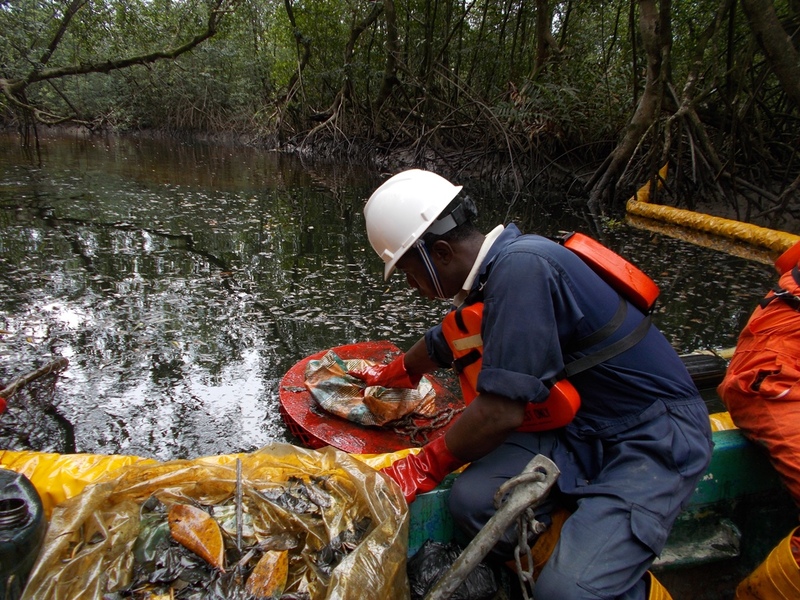 The mangrove ecosystem can be impacted both by direct effects of the oil and also longer term loss of habitat.